Small - $32.99 Only 6 left! Medium - $32.99 Large - $32.99 Only 8 left! X-Large - $32.99 Only 9 left! Oktoberfest is a magical time of year. It's a bit chilly, but the leaves are turning, and the beer is flowing, and everywhere people are singing "Roll out the Barrel" and playing Hammerschlagen. Day drinking and hammers? What could go wrong? All Hammershlogen jokes aside, Oktoberfest is pretty great. You'll never find a more delectable fare. There's crispy sauerkraut, sizzling sausages, and freshly baked pretzels that can be dipped in mustard or cheese. Sure, it's not healthy but it's food you can daydream about. Whether you're heading out to a party this October or just celebrating with some friends, you should totally wear our Fraulein tee. It's a lot more comfortable than wearing the traditional dirndl, that's for sure! Just slip on this t-shirt and it will transform you into a beer maiden instantly! 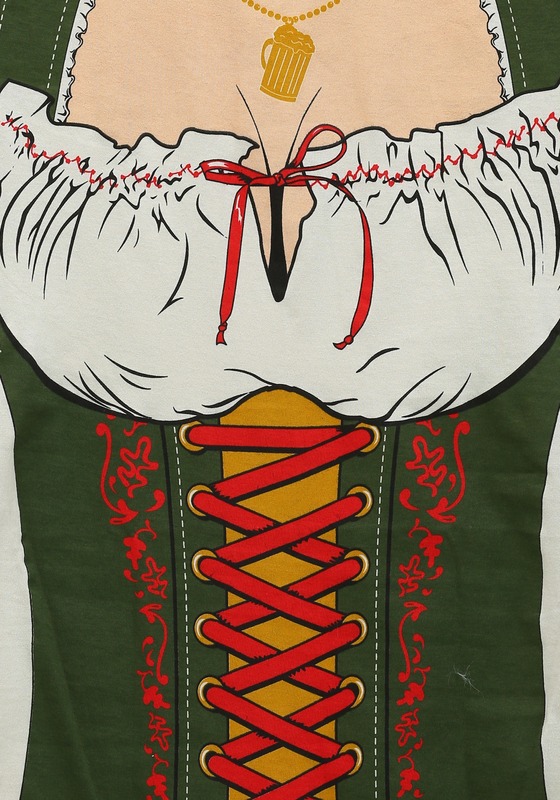 It has cute details like the pint glass on the necklace and printed on corset details. 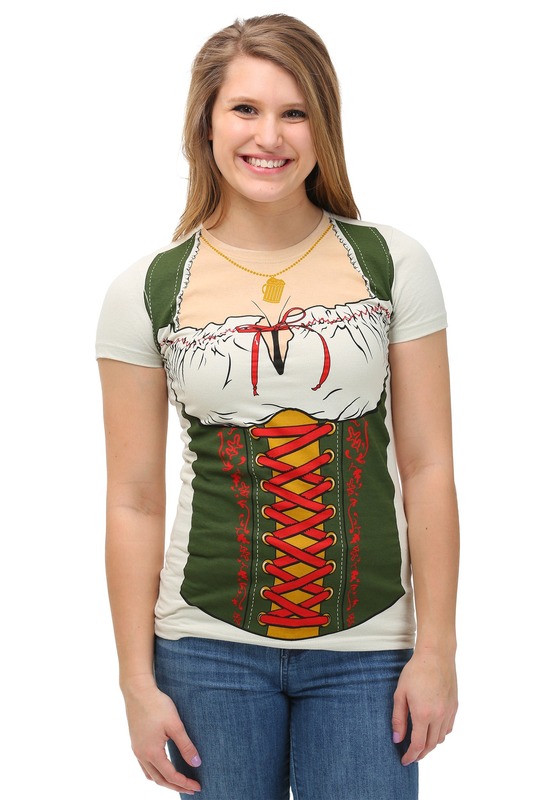 So before you head out for some beer and Wienerschnitzel this year say 'Guten Tag' to this incredible costume tee for women!